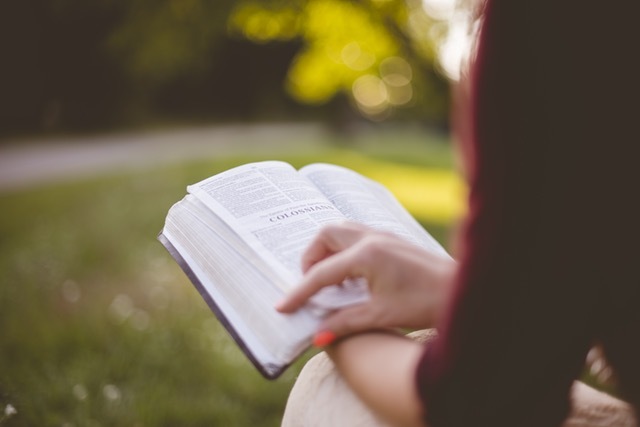 Adult Discipleship at Moorings seeks to equip us in our journey with Christ: to listen to God, to follow His lead in life and ministry and live a transformed life by the Holy Spirit. As we seek God’s will and purpose for our lives and our church we turn to scripture, committing ourselves to study and prayer together. Get connected with a study today! New Testament Survey: Join us as we continue our survey of the Bible. With enhanced understanding of the Old Testament, we will refresh our perspective on Jesus and what it means to be one of his followers. Anyone with a grasp of the Old Testament narrative and its themes (including participants in the Fall 2018 Psalms study) will feel comfortable in this 14-week study. Click here to register. For more information, contact Associate Pastor Jaci Smith Patman. This faithful group of women meets weekly at 10 a.m. on Thursdays, mid-October through April. They are always excited to have newcomers join their group. This group is led by Mary Poston. The Presbyterian Women meet together at gatherings and in circles and welcome your participation in their activities. A group luncheon takes place on the second Tuesday of every month November through April. The luncheons include a nice meal, time for fellowship and a meaningful speaker. Circles typically include a study and discussion, in addition to the social aspects of fellowship and friendships that develop when involved in a circle. They meet weekly from November through April at various homes or at the church. If you would like help finding the right circle, please contact Collene Van Noord for additional information. The Presbyterian Women raise funds annually to support various missions of the church and in the community. Women have other opportunities to fellowship through the Readers’ Rendezvous and Prayer Chain Team.